We’ve seen the drinks trolley regain a spot in the interior limelight over the past year or two thanks in part to the popular mini-series Mad Men, which portrays the glamorous excess of the advertising industry of New York during the 1960s. According to an article by the Telegraph, the drinks trolley’s comeback may also be due to a wider return to the mid-century design trend. A screenshot from Mad Men. Whether ornate and glitzy, like our Edna brass cart with mirrored tray, or sleek and minimalist, like our Benneton trolley, the drinks trolley puts the "fun" into the word functional. That's because its sole purpose is to bring thirst quenching cocktails that much closer usually during a times of celebration. It's certainly also a very useful item for those who enjoy entertaining. Images courtesy of Food & Home. And where there's celebration, there’s an opportunity to style up a beautiful motif. 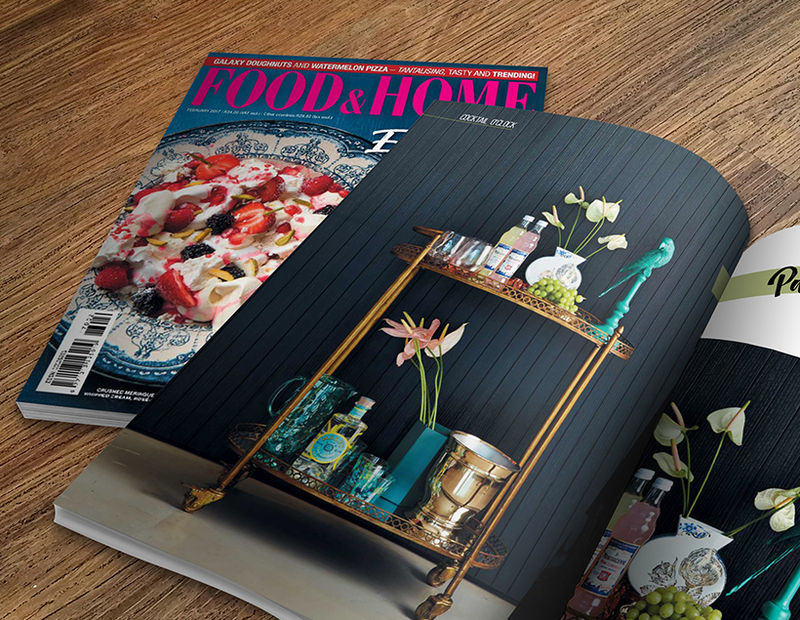 Food & Home did exactly that using our Edna brass drinks trolley, placing it in none other than a panelled wall office to demonstrate how such an addition can bring luxury and glamour to any space (Don Draper would be proud). Find more styling ideas in the February 2017 edition of Food & Home. Like the Edna brass drinks trolley? If you prefer static storage for your beverages, opt for a drinks cabinet such as our Shanghai drinks cabinet. Four shelves and two drawers keep your beverages and crockery well organised with a stately and sophisticated result.